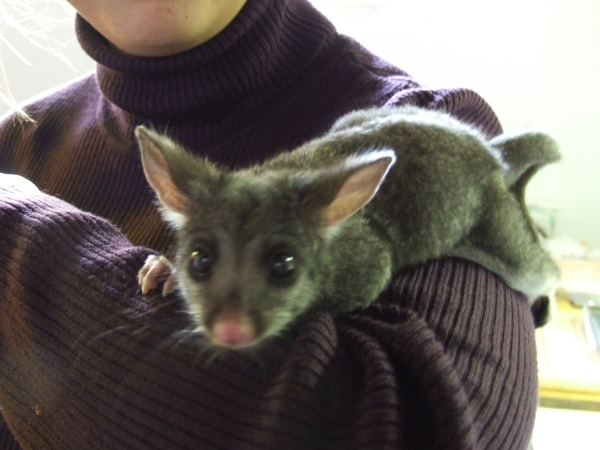 Alaskan Dave Down Under: Baby Australian Possum! And they are SOOOOO CUTE! Please keep in mind they are in no way related to North American 'possums. Jus' saying'. A friend of ours volunteers at the local fauna rescue centre and she routinely stops by with some baby critters she nurses back to help before they are released. 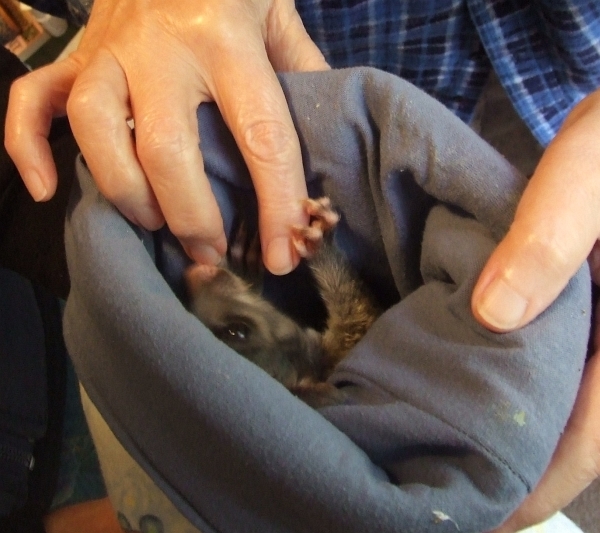 This little bugga was rescued from the pouch of it's dead mommy --roadkill, but the person stopped to check on the possum and found babies alive in the pouch and called the right folks. Isn't s/he just the cutest? There is a strict feeding schedule for the little bloke. Here's a vid of Cathy feeding the little fella. And all together now: Awwwwwwwww, so cute! ScienceBloke(z(2^8)+z(2^5))/z: The little bugga was WITHOUT A DOUBT the cutest critter I've ever seen. Now that was just adorable.